Glory St Germain, author of the Ultimate Music Theory Certification offers a state-of-the-art learning and teaching music theory program. Every once in a while a comprehensive and worthwhile training program comes along which was developed as an educational program for both music teachers and students that far exceed all that has come before and the Ultimate Music Theory Series (UMT) and the Ultimate Music Theory Teachers Certification (UMTC) training programs created by Glory St. Germain, falls squarely into this category. For a special preview of the Glory St Germain Ultimate Music Theory Teacher Training programs Glory is providing a 4-part FREE webinar series throughout the month of January on how to teach rhythm and rests more effectively in preparatory rudiments! The full 4-part Ultimate Music Theory webinar series “Teaching Rhythm and Rest” schedule and links for the events are provided at the bottom of this post. Oh yeah, did we mention it’s FREE!!! Achieving an average student test result of 90% or better on either the Royal Conservatory or the Carnegie Hall Royal Conservatory Achievement tests in music theory is a difficult result for many students to achieve when being taught by teachers using older teaching methods and incomplete theory training materials. 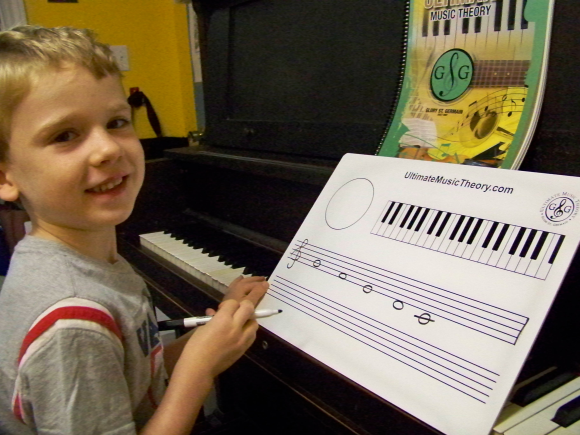 With the UMT teaching certification and the related UMT products, achieving this result is commonplace when students learn through the well-structured Ultimate Music Theory Series Workbooks and program by Glory St Germain. For the student, the UMT system of learning the rudiments of music theory is very rewarding. It builds personal confidence, a sense of accomplishment, pride in achievement and it is a lot of fun too. Not only that but teachers are finding the teaching methods, the graded, systematic, and thorough approach, as developed by Glory St Germain, as highly practical, useful and beneficial. For the teacher of music theory the UMT programs help to make their job a lot more rewarding. Teaching music theory is made far easier, and considerably more satisfying as more students attain higher grades on their RCM examinations, achieving a score of greater than 90% when learning through the Ultimate Music Theory program. The UMTC program for teachers includes the key teaching technologies and methods developed by Glory and integrated into the UMT Teachers Music Theory Certification program. Overview – Glory St. Germain has been a teacher of music for over 35 years. 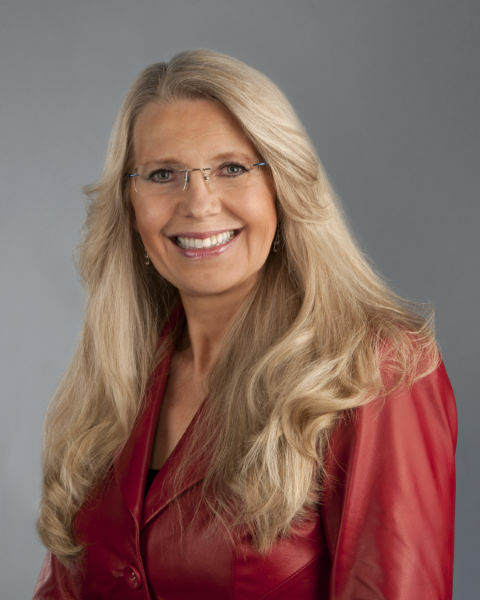 She has researched and extracted what works in the classroom over this span of time to create, developed and author the Ultimate Music Theory Series for music students and the Ultimate Music Theory Certification Course designed and created for teachers of music theory. Both the UMT series and the UMTC program materials are provided through her Canadian-based music publishing company Gloryland and they are distributed here in the United States through her distributor Charles Dumont & Son out of Voorhees New Jersey, a print music wholesaler serving over 200 print music publishers nationwide as well as in Canada by Music One Select based in Pickering, Ontario. Glory also teaches private piano lessons, music theory and pedagogy in her studio in Winnipeg Canada. She is also recognized by the MYC (Music for Young Children) program as a composer. All in all Glory St Germain demonstrates her passion for teaching music theory through her expansive efforts promoting and producing excellent products and services elegantly serving students and teachers of music theory. Glory St Germain and the MRMTA – Glory is also the current President of MRMTA, the Manitoba Registered Music Teachers Association. The MRMTA is the Manitoba branch of CFMTA (Canada Music Teachers Federation, founded in 1935) which is a Canada-wide organization promoting excellence in music education. Glory St Germain and Musicthon – Glory St. Germain is the coordinator of the MRMTA Musicthon which raises money for the Variety Special Arts Program, a partnership between the MRMTA, other local music schools, Variety and the Children’s Charity of Winnipeg Manitoba. Additional beneficiaries of this effort include Music in Daycare Program which provides a ten month music education program to 23 inner city day care centers also in Winnipeg which funds music therapy sessions to 9 local schools and agencies. MRMTA Pianothon/Musicthon is held annually at the Loewen Piano House. The Winnipeg community is served well through this program with a showcase of entertainment featuring the developed musical skills of local children while raising funds for Variety and the “Kids Helping Kids” program. The Musicthon is in its 23rd year improving the overall regional arts community. Glory St Germain and the Musiclink Foundation – Stepping up to the plate is not something foreign to Glory as she is the Canadian Coordinator for the Musiclink Foundation, an organization which reaches out to low income families by linking music students with professional music teachers who are willing to reduce their fee by at least half to make the lessons more affordable for the child. Her motto is “Teach With Passion” of which Glory St Germain embodies to its fullest extent. The Ultimate Music Theory Series workbooks were developed over the span of 35 years of teaching music theory to young students in a classroom environment. The reasoning behind putting the UMT Series workbooks together was not simply to write another book on the subject of music theory. It was to codify what works in the classroom for students and teachers and to develop high quality materials within a framework of supporting the music theory syllabus and RCM music theory examination requirements for the Carnegie Royal Conservatory Achievement Program and the Royal Conservatory of Music. The Ultimate Music Theory program thereby establishes and sets a new standard for teachers and students in the study of music theory. Supporting Practices and Products – As if this wasn’t enough, Glory includes advanced teaching strategies which address the multi-sensory learning styles of audio, visual and kinesthetic (tactile) along with peer group social learning activities. 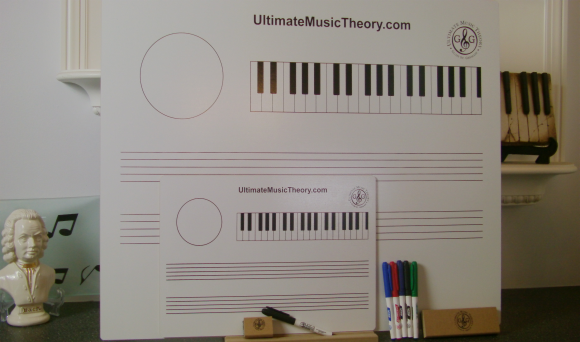 The multi-sensory approach involves the use of a student whiteboard where the student can practice writing and drawing the concepts included in music theory. Students using the whiteboard are much more involved in the learning process. This type of classroom environment supports the student and helps to develop student confidence and greatly improves their music writing capabilities and their memory on difficult subject matter within the study of music theory. Further, flash cards were created and added to the workbooks further supporting a positive learning environment as are teacher supervised games where the students participate individually or in groups making learning fun! The games provide a peer group of students in an environment where they can learn and experience music theory in a socially interactive way. By the very nature of social interaction, students support one another and in some ways, it creates a competitive learning environment encouraging students onward through their studies. These additions to the Ultimate Music Theory Series workbooks also support teachers by providing a means through which total involvement by their students can be easily attained. It helps teachers to create a learning environment where fun, peer group interactivity and learning are all improved and where students have rewarding learning experiences. The results speak for themselves with an average test score exceeding 90% on the RCM music theory exams. Many current teaching methods in use today have issues limiting learning and educational achievement in the classroom. These issues also limit teacher’s effectiveness which can lead to a point of disappointment and an inability to be as effective as they hoped they would be. In most all cases these types of issues typically cause a lot of frustration and anxiety for both student and teacher. In that way learning is at risk of being interrupted, disrupted or prevented from occurring altogether. Achievement then becomes a highly stressful and unreachable goal. Actual learning of any classroom course takes considerably more time to accomplish without effective teaching systems and while under stressful conditions. Overcoming these issues by integrating the teaching techniques and the methodologies incorporated in the Ultimate Music Theory program, as created and designed by Glory St. Germain, advance the ease in teaching music theory and helps to resolve over 17 teaching difficulties commonly experienced by them. The Ultimate Music Theory Certification program for teachers addresses these limitations completely and offers highly successful strategies and materials to overcome them. Both the UMT and UMTC programs are clearly the answer to the common problems typically experienced while teaching music theory. The UMTC program will change the way you teach positively and forever. What is the Ultimate Music Theory Certification? Teachers attending the Ultimate Music Theory Certification program will discover an entirely different way to present music theory course material to students that is engaging and fun. Your teaching skills will be improved and you will gain considerably more satisfaction and fulfillment using the teaching methods included in the program. Below is an introductory video by Glory St Germain. What’s included? – The Ultimate Music Theory Certification Course is an exclusive 3 day music theory immersion course that covers teaching all three levels of the UMT music theory books: Basic, Intermediate and Advanced Rudiments. This comprehensive teaching program incorporates theory with ear training and sight reading while encouraging creativity, self-expression through music and music appreciation. The result is a complete and comprehensive program that provides you with key systems on how to make teaching music theory easy, fun and engaging. At the Ultimate Music Theory Certification Course you will be provided with specialized training, the UMTC Teacher Manual including detailed lesson plans for private and group lessons, PLUS the Basic, Intermediate and Advanced music theory workbooks, mentoring and support that will empower you to provide a high quality program with amazing results. Below are some of the areas you will benefit from when you take the UMT Certification program. Of special note – The UMT workbooks, answer books, theory ruler and the additional materials are made to high quality standards. They are well designed, laid out and progressive, offering a highly beneficial and successful teaching and learning system for music theory. The theory and answer books are coil-bound allowing for holding them flat while reviewing, studying and while filling in the practice areas and taking the tests included in the workbooks. The UMTC teacher’s training is enlightening and makes teaching so much more rewarding! This writer has spent many hours researching various Music Theory teaching and learning programs online as well as those made available through different print music publishers. What I have discovered is that it usually takes several books from various sources to secure all of the information needed to pass the RCM final exams. The Ultimate Music Theory Certification program, the included UMT workbooks and supporting educational materials gives you all of the tools you need for helping your students pass the RCM exam and as a teacher, much success in the classroom! We would urge and highly recommend that you look into the Ultimate Music Theory Series and the Ultimate Music Theory Certification programs. For a special preview of the Glory St Germain Ultimate Music Theory Teacher Training programs Glory is providing a 4-part FREE webinar series throughout the month of January on teaching rhythm and rests more effectively in preparatory rudiments! The schedule for the events is listed below. Please register now so you don’t forget during the Holiday Season! FREE! – Teaching Rhythm and Rests – FREE!! A must for every student and teacher of music theory! Register Today for the next UMTC Live 3-Day Training! To learn more about Glory St Germain, the Ultimate Music Theory Series and the Ultimate Music Theory Certification program please visit the Ultimate Music Theory website or call today!